Greenwich Pizza & Pasta Night! 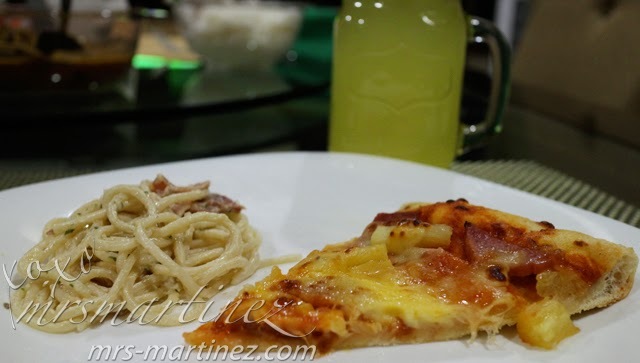 Greenwich Hawaiian Overload Pizza and Creamy Carbonara Pasta are both all-time favorites, now made even better! 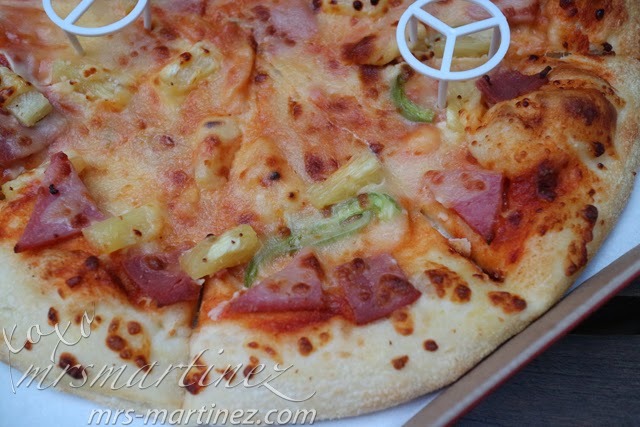 Say aloha to the combination of sweet and juicy pineapples, two kinds of cheeses- cheddar and mozzarella, generous serving of sliced meat and crunchy bell peppers! Wild!!! 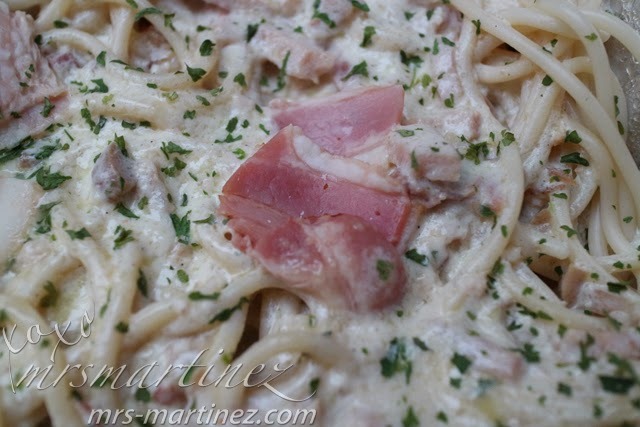 Enjoy the rich and creamy goodness of carbonara with bacon bits and parmesan cheese on top in every order of Greenwich's Creamy Carbonara Pasta. Every bite is truly a delight and a good value for your money. 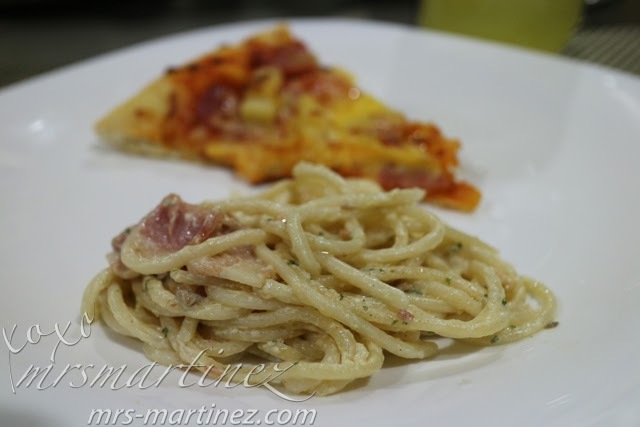 You can enjoy these pizza and pasta delicious goodness by calling Greenwich delivery at 5-5-5-5-5 for Metro Manila, 435-5555 (Cavite) or 254-1000 (Cebu). 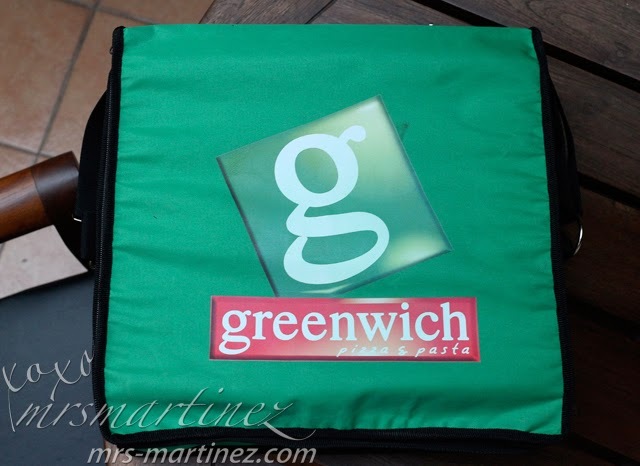 For other areas of delivery, kindly check Greenwich website for the number of stores near you!